FITUR has become one of the most important tourism fairs in the world, is a global meeting point for tourism professionals and the leading trade fair for the Latin American market, and because of the last two days when open to the public, also receives a large crowd of future travellers. Despite the crisis, the level of participation was very important, with 8979 companies representing 167 countries, spread over 8 pavilions of the Madrid IFEMA trade fairground and was widely reported by more than 6,000 accredited journalists from more than 50 countries. 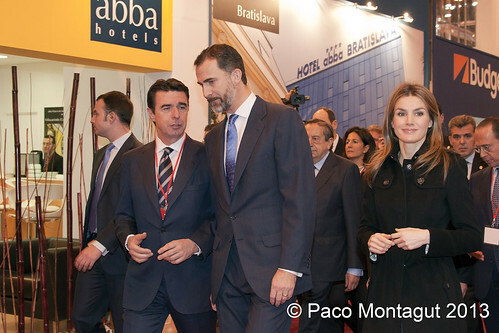 The inauguration ceremony was carried out by Prince Felipe de Borbón and Princess Leticia of Spain, accompanied by the Minister of Industry, Energy and Tourism Jose Manuel Soria. The Prince and Princess toured the different pavilions causing great excitement for the crowd of media and those attending the fair. To visit Fitur is to take a little tour of the world, you just don’t know where to go, with so many amazing places to visit, attractive stands offering all kinds of information, cultural and gastronomic events ...... so many contrasts, so many cultures and races, just by crossing from one pavilion to another you change to another continent, cross a hallway and you move from Africa to Europe, or Europe to America, it's really amazing what Fitur brings. This year the stands were perhaps more austere, less luxurious than on previous occasions, generally more focused on doing business, a large majority had areas set up to have mini meetings, small offices, this was one of the most common factors between the stands. Among the participating countries you would have to highlight the Mexico stand, one of the largest and most beautiful of the show and with a huge amount of visiting public, Brazil also had a large stand with clear references in support of the football world cup which it will host in 2014. A special mention must go to the Portugal stand, it was amazing, an authentic recreation of Portuguese neighbourhood life under the theme name Living Portugal. The stand had several key elements of Portuguese village life such as a bakery that offered exquisite cream pies, a Portuguese cafe, a restaurant with traditional cooking, a kiosk that served various Portuguese liqueurs, a tattooist ..in addition to Fado musicians playing live, it has to be said, without doubt in my opinion the best stand this year. On the other hand what drew my attention was seeing countries currently in serious conflict such as Mali and Libya so I was interested to see the trips they were offering and the level of safety. 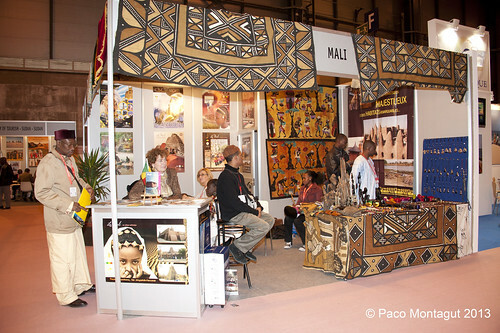 At the Mali stand I was treated very kindly by Menchu Mendoza, president of the NGO home of Mali. 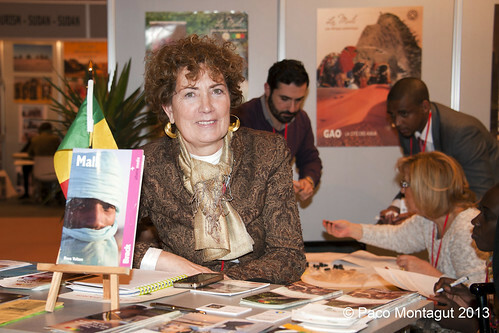 Ms. Mendoza clarified that the only conflict zone was in northern Mali, whose major cities like Timbuktu were taken by Islamic extremists, that are currently being pushed out by the Malian army with the support of France, but that the south is safe, and she raved about its rich culture and stunning scenery recommending visits to Bamako and Segou, you can obtain more information on www.casademali.org. My visit to the Libya stand was different, I spoke to a very friendly man, I did not ask his name and he did not give it to me, when asked about the situation and what they were offering, his face said it all, in a low voice he said "better to wait a bit, the situation is still difficult, we need more time " a very honest man because that's not easy to say, the conclusion was that to travel to Libya at the moment is very risky, they need tourists but not at any price. A recommendation must, if you are going to travel to a country that you have any questions about regarding their situation you should contact their ministry of foreign affairs. More than 108 million users followed the International Tourism Fair in Spain (FITUR) on Twitter and Facebook through its participating companies. As estimated by the 'social media' agency, participating companies totalled more than 93.5 million followers on Facebook and more than 14.8 million on Twitter. Meanwhile, FITUR has 73,000 followers between Facebook, Twitter and its LinkedIn discussion group. 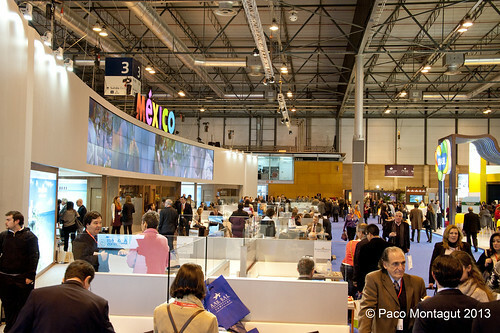 For more information about the fair you can visit http://www.ifema.es/fitur_06/ .